Hydra - Saint NIkolaos:	55 min. From the coastal road leading to Mandraki, we take a dirty road that is easy to walk and we reach the fully renovated 17th century woman Monastery of Saint Nikolaos, after approximately an hour. During this route the visitor can admire the unique landscape of wild nature, and yet so beautiful. The Monastery was established during 1675 by an unknown Skiathian Holy Monk and at first was a male one. 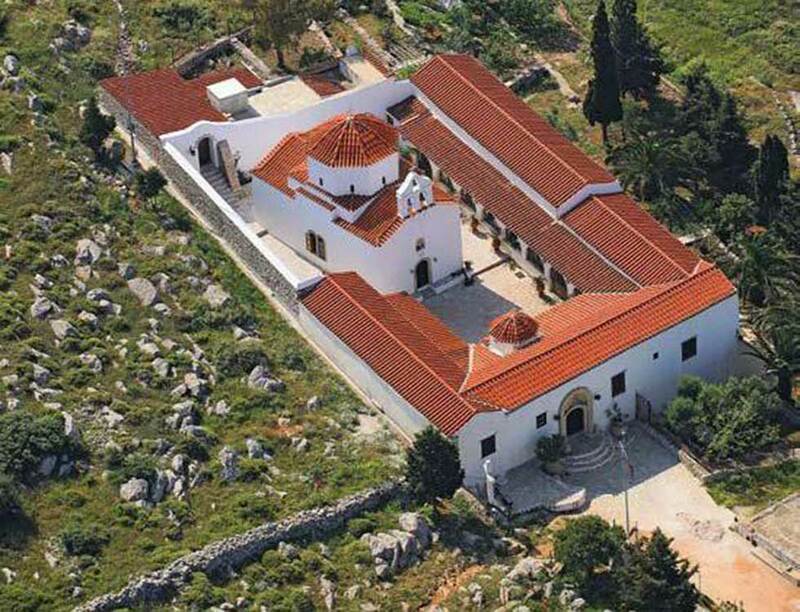 It is located on the hill of mountain Ombori and is about one kilometer from the Holy Monastery of Holy trinity (Agia Triada). The 17th century Holy Temple is of a Byzantine style with an octagonal dome and the renovated sacred icons of the woodcarved temple have an old and great Byzantine art.